Firstly, the Note 2 stylus included with this phone is not the same as the Samsung styles as the built in one has a giant rubber/plastic knob for writing and the Samsung one is using a Wacom pen with a sharp tip. Those who have used a Wacom tablet on their Macs or PCs will know this. This built in one is a really cheap regular one which you can buy for a buck and it is difficult to use due to the fat rubber tip. If you have been watching my other reviews, all these screens are 5.3 inches. Please download the screen grab above. It is in PNG format. Most likely this is an unmodified screen grab. I have not modified it as well and you can download it and measure it in Photoshop. It will show 540x960 pixels which is QHD and not 720p HD as advertised. The 3D GRAPHICS score is 1156. CPU frequency shows 1600MHz. The MTK 6577 processor is 1GHz and never at 1.2GHz. There are no China phones with a MTK6577 running at 1.2GHz. Moving on to Android version. Look at picture size. 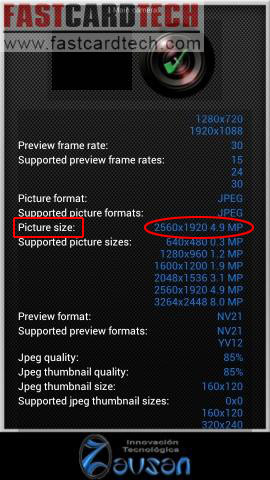 It says 4.9 MP. This means this phone has a 4.9mp hardware cmos sensor. 8 MP is in the supported picture size section. 8 megapixel is software scaling. Supported sizes=software/hardware scaling. Conclusion, 5.0 megapixel camera. If I need it to be 8mp I'd scale it in Photoshop. I doubt this phone is 8.1mm. The Original Samsung Galaxy S3 is only 8.6mm and the UMI X1 is 8.5mm and also there is a lack of photos on the website, so the specs are all wrong. It may have been shipped in a box for a different phone. I wouldn't take the risk and buy this phone. I have some readers who bought this phone so we'll see what they receive. Next, Here is an example of a phone that I am confident of buying. LINK HERE. 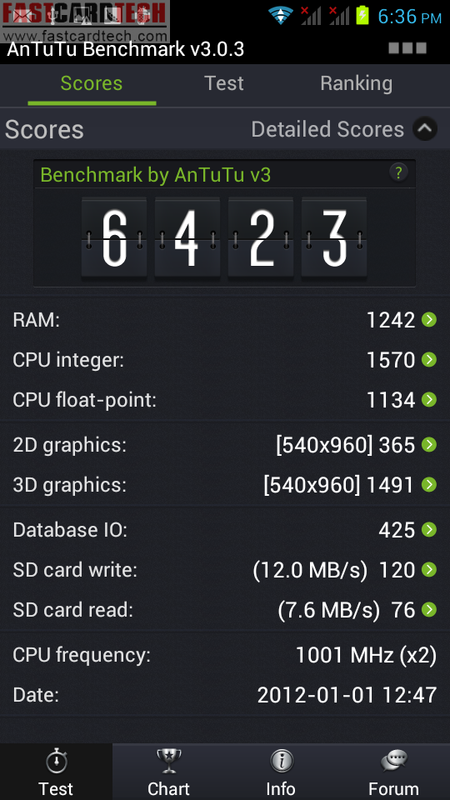 As usual, Fastcardtech has the Antutu score benchmark screen showing at full resolution and un- modified. I also measured this with Photoshop and it is QHD. The Antutu used is a new version so it shows the resolution at 540x960. CPU is showing correctly at 1000MHz x2. Next is the Android version shown below. This motherboard model is now used for all jellybean phones. The N7100+ that I have now also has this board number. The kernel version is 3.4.0 and Dec 3 date are all Jelly Bean properties so this is real Jelly Bean. Moving on to the camera. Front camera is 0.3 mp or VGA and back camera is 5.0 mp so the advertising info 1.3mp front and 8mp back camera and is wrong but now you guys know what to look out for. I now know exactly what I am getting with this info, not to mention the many pictures of the phone on the webpage, so I will be ordering this phone to do a review. As I have written before, The MTK6577 chipset struggles a little with a 720p HD screen so a QHD screen with Jelly Bean makes things really fly without comprising on resolution too much. QHD screen on a 5.3 inch screen looks fine so it should look even better on a 4.7 inch screen. You can buy this phone HERE. The price is great at just $170. Lookout of the Jelly Bean Phones in my next post. Its good to know info like this when getting one of the clone phones since when asking them on their site in the comment section or via email they will swear that the phone is using a version of android that it isnt and cameras are a certain megapixel size that they arent, since its all the way in china trying to get a refund or a replacement that has the correct specs is going to be next to impossible. I was looking @ their Changjiang N7300 which they claim via email runs jelly bean even though the specs on the page says its android 4.0.4, i didnt ask about the megapixel size for the cameras because its not important to me (if i need to take hi-res photos i'll walk with a digital camera) however how well the phone is constructed (even if it is a clone) and how accurate are the specification listings are important to me. Glad you found this helpful. Too bad they didn't have any screen grabs of the specs. Take a look at the Zopo ZP950 on the Zopo site. That is sure to be Jelly Bean. It cost just a little more. I am holding out for the quad core phones. I feel the shots compared with my Galaxy Note to be brighter with better WB control. The other results are the same. Kinda ironic as Galaxy Note as I'd checked my Galaxy Note CIS code was supposed to be a Sony one also. Also ZP950 is not really ideal like all other 1280x720 screen running MTK6577/6517. Mediatek chips will lag when you put in the max resolution display that the particular chip can support. I too like the thl phones but no Jelly bean yet. After using Jelly Bean, there is no going back. As for the ZP950 you are correct about the chip set and the max resolution so I am waiting for the quad core phones to be out. Just ordered the G9300 which is the last dual core phone that I will be reviewing. G9300 is kinda expensive considering you can get a quad-core for the same price (ZTE U950). The Feiteng I/H9300 might be a better value. The ZTE U950 is having an event on 14th (or was it 4th) Jan where they sell the phone at 799RMB. I'm looking forward to newman n2 which will start selling today. Most likely will get the 2nd batch or 3rd batch. A stable JB will likely be ported over by end Jan. I personally don't like the Tegra 3 due to not having full compatibility with some apps and also the lack of the neon instruction set. I have also grown to like screens 4.5 inches or bigger due to me being over 40 (lol). So the U950 is out of the question for me. The Newman N2 looks really good but is pricey over $300 at many online retailers. I am waiting for Umi X2 and Neo N03. The G9300 I ordered will be a phone to review and I might sell off after that. I have a HDC Galaxy S3 EX / B92m for sale now I have reviewed it. Selling for $160 free shipping. Any takers here before I put it on eBay? MTK6577 aren't really good too, it just doesn't perform well enough in most area compare with Tegra3. The screen size is a preference I guess. For me I still prefer using branded phone in Singapore, so it'll still be Note2 when I recontract next month. I normally use China phones for overseas. Which is why I dig up a lot on the CIS used on phones. The Newman N2 is 1499 RMB which is the same target price of the Umi X2 and Jiayu G4. N2 runs on Exynos 4412 vs X2/G4/N03 on MTK6589 (if no last min changes). Also the screen resolution diff. Could you give me an ETA for your Galaxy S3 G9300 phone? Was considering this but the poor SD read and write benchmarks make me hesitant to buy it. I just ordered it after writing this article so it will take about 3 weeks since I opted for free shipping. Read and write are usually slower if an SD card is inserted. I doubt they will insert a class 10 card to install their benchmark softwares and games for demo. 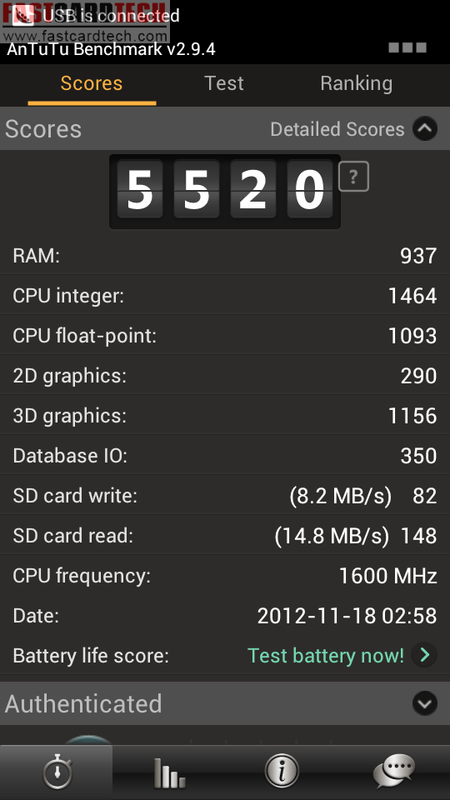 Using Antutu without any SD card will usually test the internal SD which is much faster. Didn't know that was the case! I also noticed an obvious lag in its demo hands on video. I have Jelly Bean on my ZTE Skate with kernel 2.6 and in my Huawei G300 with kernel 3.08 so I think that 3.013 could be real Jelly Bean as well. Greg, can I flash the Jelly Bean Rom you posted for the other QHD version into this so called HD version if it proves that is ICS instead of Jelly Bean? No you can't flash because it is a different phone. The phone will be bricked if you try it. The 3.0.13 kernel is used for ALL the ICS mtk6577 clones I reviewed. I could be wrong but chances are high that it is ICS and not Jelly Bean. Very strange ... For the Galaxy S3 G9300 they don't talk about the WCDMA compatibility ... And 2 persons have asked : the answer in the comments on fastcardtech website is not very clear ... I hope it has 3G ! What do you think about it ? If it is the G9300+ that everyone else are selling, then the WCDMA is 850/2100. Most of these website staffs aren't well-trained. They could have easily given you the answer when the take out the battery and the G9300+ label have indicate the GSM and WCDMA compatibility. It is important to find the common model that everyone is selling as you'll be able to find firmware upgrade elsewhere when the seller stopped selling the product and stopped giving support to it. Also the G9300+ is not a real 8MP, it is a 5MP CIS interpolated to 8MP. The sensor is by Aptina. Yeah, the staff do not know much. Nowadays dual sim phones have one wcdma and one gsm slot, as supported by the mtk6577 chip set. Never came across a phone with only dual gsm slots. Thank you for your very good information. What about the mtk6589 ship set sim slot? I am in UK and we are only using wcdma, not GSM (As far I am aware). The mtk6589 chip set is the same as the mtk6577. 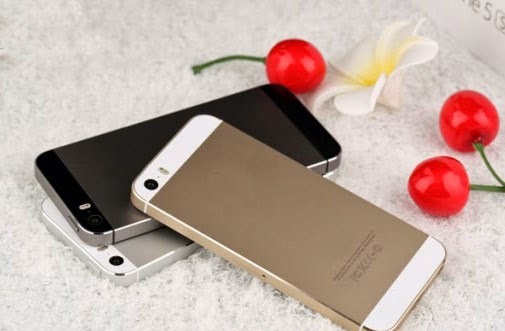 One gsm(2g) slot and one gsm / wcdma slot (3g). a) http://www.fastcardtech.com/goods-7823-HDC-Galaxy-Note-2-GT-N7100-S7100--MTK6577-Dual-Core-12Ghz-54-inch-HD-Screen-Android-411-Phone.html . So is this a real 1280 x720 screen? b) speaking on note 2, is 512mb sufficient, or advisable to opt for 1gb? 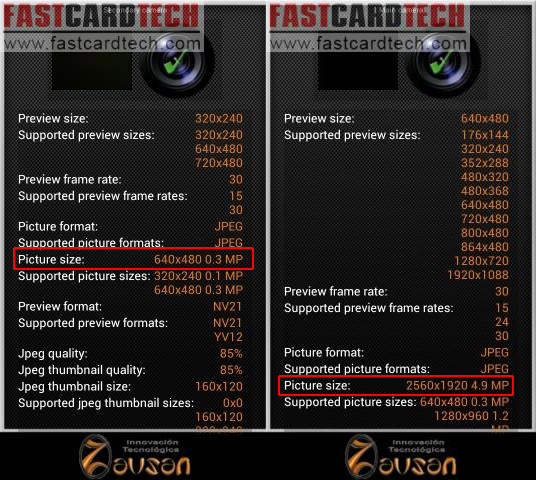 c) so MTK 6577, would only do 8mp+ 0.3mp. like others, i'm so confused with so many variations of note2 sold @ FTC. Many phones are having 1gb now so no point going 512 unless you don't do much except Facebook and messaging. 1 GB is a must if you want facebook, Google+ Google Now and YouTube widgets on your home screens. Narrow your choices down to the jellybean 1gb phones. Read my newest article about jellybean phones. There are 10 of them. Take your time. b) so the HDC Galaxy Note 2 / EX, should be considered 'redundant' now? C) how is H7100 vs S7100 differ?? B) Not redundant. Those phones will still get updates by Zopo. Those are very good phones and also includes the missing notification LED most phone don't. C) very similar. Just some design differences. 11mm is also thicker. Easy to root. Use root and restore by bin4ry from XDA forum. No difference with Jelly Bean. 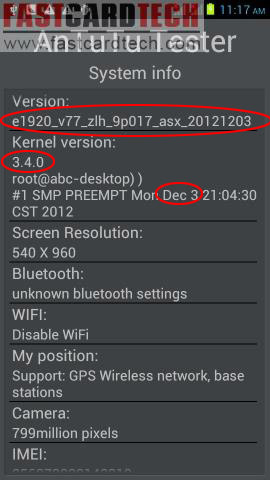 Someone already rooted this phone and posted the recovery.img on xda forum. HI I currently have this phone and I have a problem with regards to flashing ROMS. I tried to flash a ROM with SP Flash Tools, I made the mistake of leaving preloader and DSP_BL ticked when trying to flash. The ROM was flashed successfully but the phone will not turn on. I have tried searching through all various posts but could not find anything that could help me. In one post I read that flashing the preloader and DSP_BL of the original ROM would bring the phone back to life.. I am trying to find the original rom to flash using SP Flash Tools but I cannot even find this ROM. Can you help me out as I am really frustrated and worried I might not be able to get the phone back to life.. Many thanks for your great blog and help. Yes, you need the original ROM to flash fully. Have a look in the Russian forums. You need to Google with RU in your search. By the way I do not know which phone you have. You probably flashed a ROM not for your phone. Thanks for your reply, will try to check them out, I have the Note 2 MKT 6577 from fastcardtech, the rom was in chinese so i tried flashing another rom.. Many thanks once again for your help, hope I will be able to unbrick the phone..
Edward Borg Cardona, did you find a good rom please? My cell phone don't turn on and i need the original ROM. Hi Greg, I have contacted a buyer from France who bought the HD version of the S7100 Note 2 clone and confirmed pretty much what the www.fastcardtech.com said in description. when ordering. Fun for agood price, FCT is serious. This article is about being careful when you choose your phone. Some other people might want to take that risk and buy it. So when you get confirmation that the phone is real you can go ahead and buy it (please use my link so I get a small commission). You may want to look at the other note2 jelly bean phones in my other post. There is the new Ultra version. I want to remove the chinese apps install on this phone, and need to be root. So, does the bin4ry is compatible with this phone. Yes, you can use the Bin4ry method. 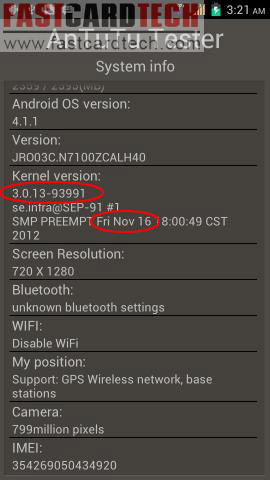 Your phone is Android 4.0.4 ICS and should be no problems rooting it. From your experience, which ROM can I install in this phone (GT-N7100 MTK6577) and where to find it ? Does Samsung galaxy note 2 ROM is compatible ? You can't install any ROM unless it is one made specifically for your phone. Go to the Russian or Spanish forums and see if anyone has made another ROM for your phone. If you use the original Samsung ROM your phone will be bricked. Can you give a site for them ? ?